Slight, boyish, intellectual, fast-talking, with alert eyes behind his glasses, the writer Mahmud Rahman opens the door to greet me. He motions me towards a sofa. Or perhaps that should be the sofa, as this room is possibly the barest I have ever seen in a living space. There is the pale green chair and the sofa, a spindly table under the window, covered with lopsided piles of books, but the rest of the apartment offers merely a kind of Zen-like emptiness. Not a picture on the walls, not even a calendar, although there is a teetering stack of what looks like half a year's newspapers on the floor against a wall. This place makes minimalist sound cluttered. A glimpse into the room next door reveals more of the same. Maybe this is what it means to be a real writer? The desk, the chair, a fan on a pedestal, some papers, the curtains half-open, and the smart ultra slim laptop delivering music from another dimension, its screensaver creating whirling galaxies of silver and blue. Mahmud ascribes this Spartan existence to his gipsy-like nature, never gathering too many possessions together before moving on. Music, he explains, is far more important to him than decor, and so it is that his thousands of songs stored in his laptop provide a sense of home, and connections to a world of memories and experience. The address he'd given me was Bankers Row: “You'll find it easily, just behind the Prime Minister's residence.” From the grandiose sound of the street I'd conjured up a leafy elegant corner of the city, a little piece of Boston perhaps right here among the rickshaws and the narrow lanes. But whatever cachet this prestigious name once had, it's now more down-at-heel than genteel, a boisterous area where barbers wield their cut-throat razors, dingy little shops sell ceramic sinks in pale green and coral pink, hawkers walk down the streets blowing on brass horns and tinkling triangles to announce their wares, from keys to “chanachurrrrrrrrr”, and where the grey houses lean broodingly in on each other like blue-collar tenements on the Lower East Side. Mahmud, who looks much younger than his 53 years would suggest, is one of a small group of writers who have returned to the subcontinent from a life overseas and are working on stories or novels in English. Some of these writers are from what he terms the "one-point-five" generation neither entirely a fresh import from their homelands to the US or the UK in adulthood, nor born in their adopted country to immigrant parents, but rather those who left as children. Thus they find themselves in even more of an in-between position than those who are second generation, who at least can lay claim to a sense of rootedness in the country into which they were born. And so it is perhaps that these one-point-fivers find themselves attempting to capture the reality of home in the language of abroad. There are those luminaries such as Tahmima Anam and Monica Ali who have already become famous, but they are merely at the forefront of this growing coterie of Bangladeshi authors working in English. These new writers have chosen to turn their backs on the more traditional careers of engineering, medicine, business and law in order to explore their creative sides. This is not always with the full consent of those around: one aspiring female author recently gave up a place on a Yale Law School to pursue a creative writing course, very much against social expectations. 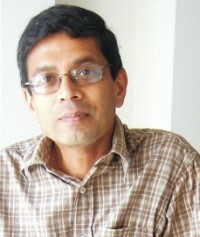 After growing up in Dhaka where he attended the English-medium St Joseph's School and Notre Dame College, Mahmud spent his entire adult life in the States, and began writing in earnest back in 1996. Some of his early stories were set among the multi-ethnic working classes in cities across the US, culled largely from his own experience in a wide variety of low-paid jobs and community social work, where he found his open outgoing attitude and willingness to listen, coupled with a natural ear for and interest in the stories of others, enabled him to forge links with workers and resident in working class neighbourhoods from a range of ethnic backgrounds. Other tales harked back to his childhood and schoolboy experiences or mined his tumultuous memories of the war of independence. A third group of narratives bubbling away in his imagination were fictional recreations of life in Bengal back in the colonial 1930s and 40s. Yet when it came to writing for his first novel set in contemporary Dhaka, Mahmud knew he had no choice but to return and immerse himself in the city of his birth. Unable to rely any longer on distant memories, he needed to swim in the detail, to throw himself into every aspect of life in the capital. He found that his decision here to live without domestic help, which originated more in a sense of self-sufficiency and a reluctance to live off the labour of others, had the happy side-effect of helping him gain an intimate understanding of all the roles his characters play, and the locales in which they find themselves, from bargaining to cleaning, and from the bustling markets to the darkened streets at night. Since returning he has already published stories and articles in a variety of newspapers as well as in this magazine. He refers to the volatile magic of this place, of its endless provision of stimulus for writing. Whatever else you can say about Dhaka, you can't deny it supplies plenty of material. The return home also represents a sort of retreat from the world of work and having to make a living, so depending on savings Mahmud has set up shop here for a year free of the exigencies of a nine-to-five existence. Other writers may go off to some secluded Hawaiian beach hut in search of the muse and of peace and quiet. Nice idea, but then again Dhaka is a lot more affordable. This step has marked a turning point in his creative process: until his return he'd only ever written about places he'd just left behind, rather than the locations across America where he found himself at any given time. Each new locale offered an excess of stimulus: there was too much to take in. Only when you put some distance between yourself and the place, and the dust had settled, could you begin to see clearly enough to make sense of your experience through the written word. So perhaps it is the sheer familiarity of Dhaka, even when seen through the eyes of a long-term exile, which has enabled this shift to being able to capture the present as well as the past. The decision to write in English has been relatively straightforward however: it's the language of his entire adult experience, of his relationships, his dreams, his loves and his losses. The choice is certainly available: Mahmud is an accomplished translator of Bangla stories, which requires a depth of knowledge of both languages. (A translator, he comments, is the second closest reader of any text after the author). But while he's perfectly at home in the rhythms of his native language, the creative process simply channels itself more naturally through his adopted one. Well aware of the debates that occasionally swirl around such decisions, with their veiled references to colonialism, he has no doubt that it is the most pragmatic choice for him. It does, however, leave him facing the difficult challenge of capturing the cadences of maids, journalists, policemen and extortionists (to take a few examples at random), in an English which accurately conveys their manner and the colour of their expression. As evening descends, our conversation draws to a close. An odd sense of geographical dislocation has persisted throughout the time I've spent there. A selection of blues, jazz and urban music sidling out from the laptop evokes Chicago, Memphis and Manhattan. Mahmud's accent also takes me straight to Brooklyn the way he pronounces 'Noomarket' and talks of watching the 'nooz', even referring at one point to a cup of 'cwoffee'. So it is something of an unexpected culture shock later that evening to step back into the raucous melee that is our city, jump into a CNG rather than a Manhattan yellow cab, and feel the familiar heady sounds and sights emerging once again.